Experience Cairo’s ancient landmarks and renowned bazaar on this affordable all-day tour. After a convenient hotel pickup, travel by private vehicle to Giza and marvel at the Great Pyramids, Sphinx, Citadel, and Valley Temple. Stop for an optional lunch before visiting the historic alabaster mosque of Muhammad Ali and Cairo’s nearly century-old market, the Khan el Khalili. Bargain for souvenirs with the help of an insider guide. Start your trip at 8:00 am you will find your tour guide waiting with a sing of your name at the lobby of your Hotel move in air conditioned vehicle and drive into the great pyramids where your local tour guide will share with you the history of pyramids. 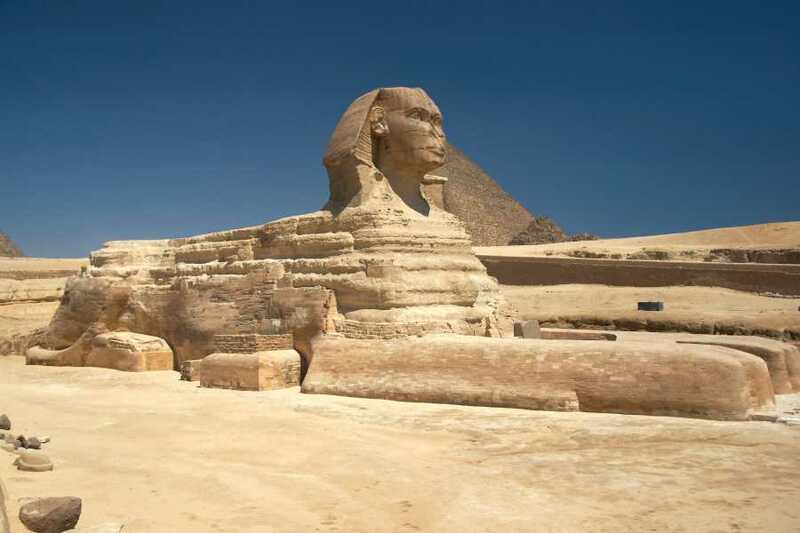 Learn about the pyramids of Cheops,Chefren and Mekarenous and queens pyramids then move into the valley temple and learn about the process of mummification then get close to the sphinx. Our your local guide will assist you in taking so funny pictures. There is an optional lunch break to stop and have lunch, or stop in a preferred restaurant (lunch not included). Then visit the alabaster mosque of Muhammad Ali which is located at the Citadel this is the most beautiful mosque in Egypt as decorated extensively with pure gold it dates back to 1824 AD where you will have the chance to learn about Muslim religion then end your day with Khan Khalili Bazaar which is the oldest markets in Egypt where you can buy Egyptian cheap souvenirs. Around 16:00 you will be transferred you back to your hotel from which you departed.